It feels like I've been waiting for this book forever. The release date is finally drawing close... November 29, but it's still not here yet. Legend sounds like just the thing for Hunger Games fans. 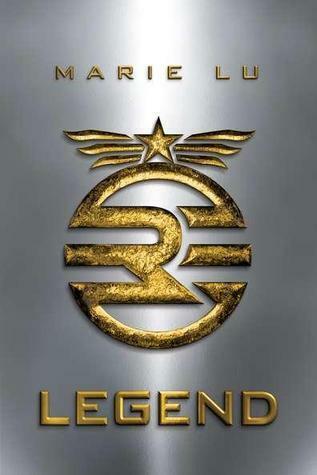 OoOh Legend was a great read! HOpe you like it! I'm a new follower of yours. I was lucky enough to get an ARC of this one and I LOVED it! Happy reading! Hahaha, I saw folks handing out ARCs of this at the last conference I went to and I just. missed. it. Drat! Oh well, not too much longer to wait. this is am AWESOME book!! here's my WOW post. stop by??! I know! If I'd read the plot summary before, I think I would have muscled in a little harder at that book convention, to get a copy, you know? ?